Apple is apparently speaking with its Chinese manufacturing partners to assess if it is possible to bring iPhone manufacturing back into the USA. In the past the company has said one of the reasons it does not manufacture products here is because the U.S. lacks people with the right high-tech manufacturing skills. Speaking in 2012, Apple CEO, Tim Cook, also said he “hoped” assembly could take place in the U.S. again – perhaps it can, with the addition of a little artificial intelligence. Almost every consumer electronics company thinks the same way. The only way to change this without making products so expensive that no one will buy them is to impose the same pay and conditions on U.S. manufacturing workers as their peers in China endure. Or replace them with machines. That’s got to be the most likely outcome. Apple’s existing suppliers are already using robots in iPhone manufacturing. Robots replaced 60,000 employees at just one Foxconn factory this year. "We will continue to harness automation and manpower in our manufacturing operations, and we expect to maintain our significant workforce in China,” the company said. Do those robots need to be in the country? Today’s robots are much smarter than the production line machines we’ve seen in use in the last thirty years. They are capable of learning new skills. They use sophisticated deep learning and pattern matching technologies. They aren’t single-purpose machines that need replacing when the process changes. They are also more flexible and more willing to work a 12-hour day than the humans they replace. It makes no economic sense. What good will it do the U.S. economy to put its biggest technology firms out of business? In order to insource manufacturing to the U.S., big tech firms will inevitably seek out technological solutions to the problem they face, and this means that rather than hiring and training tens of thousands of U.S. workers, they are far more likely to purchase a bunch of robots to do the job, with a much smaller number of highly trained engineers to oversee the process. As former McDonald's chief executive Ed Rensi famously said: "It's cheaper to buy a $35,000 robotic arm than it is to hire an employee who is inefficient, making $15 an hour bagging French fries." The Mac Pro is already made in a highly mechanized production plant in the U.S. Apple’s Liam robot already takes iPhones apart for recycling and is based in the U.S. There will be many more machines working diligently across production lines worldwide. When you think about Apple bringing iPhone production back to the U.S., don’t expect the jobs to come back. Instead, consumer electronics companies like Apple will need to raise prices slightly to help pay for new automated manufacturing processes. They will need to invest in robots and the technologies that enable them. 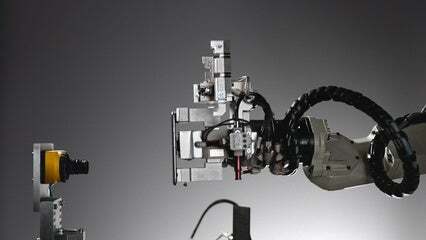 So your iPhone will still be Designed by Apple in California, but will be (partially) Assembled By Robots In The USA. They are also likely to be around $30-$40 more expensive to buy. Though if we're lucky, perhaps some of the robots will be manufactured here. Got a story? Drop me a line via Twitter or in comments below and let me know. I'd like it if you chose to follow me on Twitter so I can let you know when fresh items are published here first on Computerworld.